This is the final production year for the Explorer Sport Trac, so you should be able to land a pretty good deal. If you're torn between an SUV and a pickup and cutting-edge styling isn't important, the 2010 Ford Explorer Sport Trac might be the answer. In order to arrange the attached Full Review covering the 2010 Ford Explorer Sport Trac, the editors of TheCarConnection.com read a wide range of reviews and bring you highlights. But here, in this Bottom Line, the editors sum up all the attributes of the Sport Trac, with firsthand driving impressions, to give you the best advice on how it matches up against other trucks. At first sight, the new 2010 Ford Explorer Sport Trac can be a bit of a mystery. 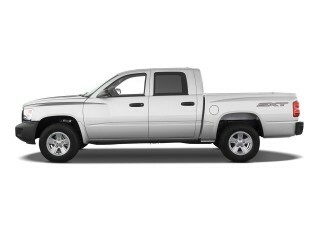 Is it an SUV with a pickup bed or a pickup with an especially large cab? Technically, it is an SUV (Ford lists it as such on its Web site), but it does deliver the best of both worlds. Although based on the Explorer—and with no real styling surprises inside or out—it's actually 17 inches longer; the passenger compartment is nearly identical to that of the Explorer, but the rear cargo area of the Explorer is replaced with a 4.5-foot cargo bed made from a dent-proof and rust-proof plastic compound. The interior has a similar look and feel to the Ford Explorer, which isn’t a bad thing. 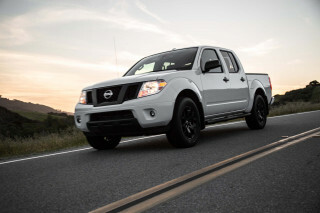 Overall, the Sport Trac changes very little for 2010, save for some minor modifications. The standard drivetrain for the 2010 Ford Explorer Sport Trac is a 210-horsepower, 4.0-liter V-6 mated to a five-speed automatic, but there's an optional 292 -horsepower, 4.6-liter V-8 matched with a six-speed automatic transmission available. There's a choice of the standard rear-wheel drive or Ford's ControlTrac four-wheel drive if you want extra traction. Unlike an AWD system, ControlTrac is a true 4WD system, with a two-speed transfer case that features a low range just in case the Sport Trac heads off-road. The design is inherently useful for hauling, and with the optional V-8, the Explorer Sport Trac can tow more than 7,160 pounds. Considering that the 2010 Ford Explorer Sport Trac is a mid-size SUV/pickup with truck roots, it drives pretty much as you might expect from such a vehicle. You won't find ride quality particularly pleasant, and the SportTrac doesn't handle especially well on curvy roads, squealing the tires around moderately sharp corners, especially on rough surfaces. But it should be fine for most everyday needs. Between the standard V-6 and optional V-8, we would almost unconditionally recommend the V-8; although the V-6 has enough power for a light load, it can get noisy and coarse when loaded, and surprisingly the V-8 rear-wheel-drive Explorer Sport Trac is more fuel-efficient. The cabin of the 2010 Explorer Sport Trac is spacious and quite comfortable; five will fit, if three are willing to be elbow-to-elbow in back. The quality of the interior, including materials and fit/finish, is acceptable but not up to the level of some of Ford's newer products that are focused at passengers, like the Edge and Flex crossovers. The Sport Trac has performed quite well in government crash tests, indicating that it's a safe vehicle to be in if you're in a collision. Keep in mind, however, that the federal government has given the rear-wheel-drive version of the Sport Trac only three stars in its rollover rating, which means it's more likely to roll if tripped in an accident. Aiding security is Trailer Sway Control, which helps warn the driver of instability when towing and keep the trailer in line. The Explorer Sport Trac comes very well equipped compared to compact pickup trucks. Standard features, even on the base XLT, include full power accessories, cruise control, air conditioning, and Sirius Satellite Radio. The Limited loads the Sport Trac with such things as fancier wheels, heated leather seats, an upgraded center console, and Ford's SYNC entertainment/navigation system. Adrenalin models add a more aggressive appearance to the Limited's equipment, including 20-inch polished aluminum wheels, dual exhaust tips, black fascias, and monotone perforated leather seats. A moonroof, a premium sound system with subwoofer and six-disc changer, and a next-generation voice-activated navigation system from Sirius Travel Link are among the most desirable options. 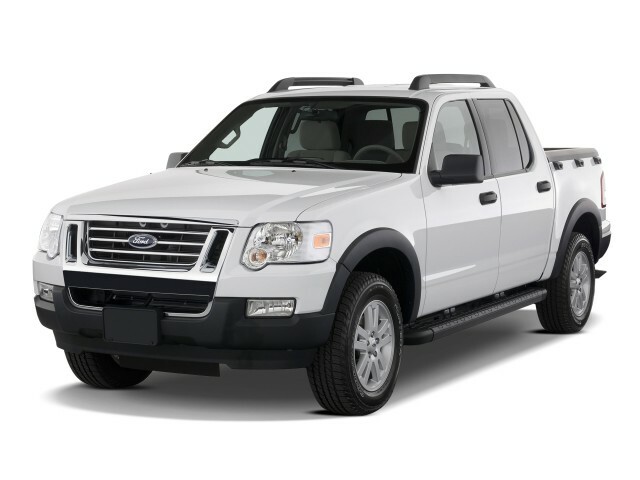 With the looks of its Ford Explorer sibling, the 2010 Sport Trac is an attractive pickup with a well-designed interior. The 2010 Ford Explorer Sport Trac looks a lot like the Explorer SUV on which it's based, and even though it's by no means groundbreaking, most reviewers appreciate the look. The Detroit News calls the 2010 Ford Explorer Sport Trac "a cute truck" and describes it as "very attractive," though that particular choice of words may not go over well with the Ford Explorer Sport Trac's target market. The range-topping Adrenalin model gets minor upgrades to the exterior to give it a more butch appearance, but the price of the Adrenalin reflects this. Overall, the exterior of the 2010 Ford Explorer Sport Trac "does a good job of striking the delicate balance between street style and off-road character," declares Kelley Blue Book. The Ford Explorer Sport Trac's sheetmetal is more universally accepted than the Honda Ridgeline's, whose "rather ungainly styling" may be "a turnoff for some folks," according to Edmunds reviewers. Taking a closer look, Edmunds adds that "the roof rack, external cargo-box tie-downs, fairly large tires and prominent wheel arches give it a properly rugged image, while the big chrome grille and front-end treatment lend style." New styling features for 2010 include chrome roof rails and side steps, which are standard in Limited trim. Ford also offers two new exterior colors: Blue Flame and White Platinum for the 2010 Sport Trac. The Limited also gets new chrome roof rails and side steps as standard. The interior of the 2010 Sport Trac didn't elicit strong opinions from reviewers, but there were a few gripes about the design. Cars.com echoes the sentiments of several reviewers when they report that the Ford Explorer Sport Trac 2010 "has unique interior door releases located on the front of the door armrests," a feature that Ford carries over from the Explorer. Reviewers at Cars.com find that "with oversized controls and squared-off designs, the Sport Trac's interior has an industrial quality to it," while ConsumerGuide lists some of their several complaints with the interior of the Ford Explorer Sport Trac as a "transmission shift lever" that "blocks easy access to the climate system" and a "turn signal stalk" that is "mounted at an awkward angle." They praise the fact that the "navigation system is easy enough to use," but they feel "it needs a larger screen." The 2010 Ford Explorer Sport Trac isn’t at the head of the pack in performance or fuel economy, but its ride and handling are impressive for its class. The standard drivetrain for the 2010 Ford Explorer Sport Trac is a 210-horsepower, 4.0-liter V-6 mated to a five-speed automatic, but there is an optional 292 -horsepower 4.6-liter V-8 matched with a six-speed automatic transmission available. There's a choice of the standard rear-wheel drive or Ford's ControlTrac four-wheel drive if you want extra traction. Unlike an AWD system, ControlTrac is a true 4WD system, with a two-speed transfer case that features a low range just in case the Sport Trac heads off-road. The design is inherently useful for hauling, and with the optional V-8, the Explorer Sport Trac can tow more than 7,160 pounds. Although neither engine offered in the 2010 Ford Explorer Sport Trac gets consistently positive comments, the V-8 is the clear choice between the two, with slightly better performance and fuel economy. But don't expect it to be that much better. 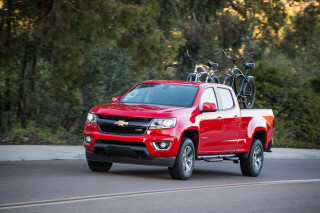 Kelley Blue Book adds "most drivers will probably find the 4.0-liter V-6 more than adequate for most of their driving, with 254 pound-feet of torque and plenty of acceleration to keep up with any likely traffic situation." Going back to the V-8 on the Ford Explorer Sport Trac, Edmunds comes down hard, saying "testing revealed the V-8's performance to be about the same or less than V-6-powered import crew cab pickups." Cars.com also claims that the "V-8's acceleration is merely adequate." The six-speed automatic transmission in particular is one feature that reviewers unanimously love, with ConsumerGuide claiming that "the automatic transmission is smooth" and Cars.com noting that the six-speed "automatic willingly kicked down when more power was needed" during their test. ConsumerGuide adds that on the 2010 Ford Explorer Sport Trac trims, both are available "with rear-wheel drive or 4-wheel drive that can be left engaged on dry pavement." Off-road, the Sport Trac is a capable performer, and if you opt for the four-wheel-drive system, you'll be treated to a two-speed transfer case that features a low range for tackling tricky situations. 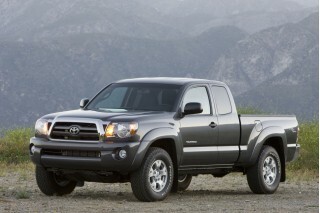 Despite decent performance on- and off-road, the 2010 Sport Trac doesn't quite cut it when it comes to fuel economy. The EPA estimates that the Ford Explorer Sport Trac will return only 13/19 mpg with the V-6 in 4WD. 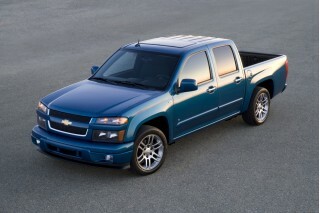 The V-8 actually offers better mileage, with 15/21 mpg in the 2WD model. ConsumerGuide testers characterize the Ford Explorer Sport Trac's fuel economy as "dismal, even among pickup trucks," since their test Sport Tracs "averaged just 12.4-13.5 mpg." All that said, the 2010 Explorer Sport Trac does reasonably well in terms of handling and braking—for a truck, that is. Edmunds says the 2010 Ford Explorer Sport Trac features "admirable road isolation and a surprisingly responsive steering system" that makes the Ford Explorer Sport Trac "a pleasure to drive and ride in." Kelley Blue Book chimes in by noting the "Sport Trac's driving experience, both on pavement and off, is exceptionally good." Even the brakes are praised on the Ford Explorer Sport Trac, with ConsumerGuide finding that "stopping control is good, though the brakes felt slightly grabby on one test example." The 2010 Ford Explorer Sport Trac has decent passenger comfort and reasonable interior materials to make its off-road toughness and cargo capability all the more accessible. The 2010 Ford Explorer Sport Trac offers room for five, with a pair of "front bucket seats" and a "three-person, 60/40-split rear bench seat," according to Cars.com. Kelley Blue Book says "the seating is quite roomy and comfortable, in both the front and rear, and a long day behind the wheel should prove pleasant." Passenger room inside the cabin is commendable, and ConsumerGuide finds that although "slightly shorter seat tracks give a bit less legroom than in Explorer SUVs," most front occupants "won't want for space." They add "the seats are comfortable," a sentiment that is shared by many other reviewers. ConsumerGuide isn't as fond of the backseat, declaring that "three medium-sized adults can ride with little cramping, but the uninviting bench seat is low to the floor, flat, and not well-padded." One of the big selling points on the Ford Explorer Sport Trac 2010 is that it serves as a practical daily cargo mover, and here it's not surprising that this "compromise vehicle" makes some obvious compromises in order to both keep the price down and make the most of passenger and cargo space. Most notably, J.D. Power finds that the Ford Explorer Sport Trac doesn't have a comparable feature to the Chevy Avalanche's Midgate, which they say "essentially extends the Avalanche's bed into the cabin, allowing it to carry long items with the tailgate closed." What the 2010 Ford Explorer Sport Trac does offer is a "4.5-foot cargo box" that Edmunds says is "made of corrosion-proof composite material with a molded-in liner that resists scratches and dents." Also in the cargo bed of the Ford Explorer Sport Trac, the "external tie-down cleats are handy," and inside the cabin the "rear seatbacks fold flat for great in-cab cargo room," but otherwise, "small-item storage is just OK," remarks ConsumerGuide. The quality of the materials used in the 2010 Ford Explorer Sport isn't quite up to the standards of some of Ford's newer models, but it should suffice. ConsumerGuide observes that the Ford Explorer Sport Trac "Limited's cabin has classy, durable decor overall," but they "did notice a few rough edges, and soft-touch surfaces are scarce." In a quality-sapping nod to the Ford Explorer Sport Trac's potential for driving off-road, Cars.com reviewers summarize that "the quality of materials was fine" on their test Ford Explorer Sport Trac, but "they just didn't come together especially well." Motor Trend says "the Sport Trac has rubber flooring Berber-carpet floormats." While these aren't the most attractive materials, they will come in handy when it comes time to clean the Sport Trac. Refinement is a surprise strong point for the 2010 Sport Trac; nearly all reviewers have positive comments about the smooth ride and quiet cabin. ConsumerGuide reviewers claim that the Ford Explorer Sport Trac is "a close second to Ridgeline for overall compact-pickup refinement," thanks to the fact that "wind noise is low up to 70 mph." They also note, however, that "coarse-surface tire thrum is noticeable at most any speed." 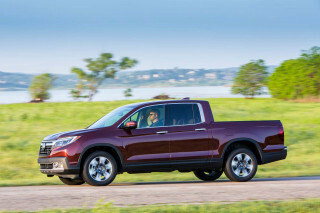 Edmunds observes that "Ford claims that at 40 mph, the Sport Trac is a full 5 decibels quieter than a Honda Ridgeline." 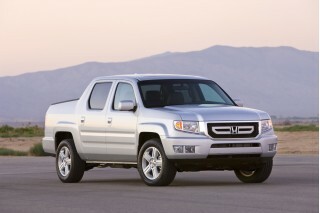 ConsumerGuide also lauds the Sport Trac's "fine ride control" that "bests all rival pickups except the Honda Ridgeline." Ford succeeds in making the 2010 Ford Explorer Sport Trac exceptionally safe. TheCarConnection.com editors note that the 2010 Ford Explorer Sport Trac is a safer alternative to most compact pickups, as it scores well in both insurance industry and federal government crash tests and offers quite a few standard safety features, such as side airbags and electronic stability control, which the smaller, less expensive pickups still don't have. Trailer Sway Control is standard for 2010. Both the National Highway Traffic Safety Administration (NHTSA) and the Insurance Institute for Highway Safety (IIHS), the two major crash-test agencies in the United States, have tested last year's mechanically identical Ford Explorer Sport Trac, and both strongly endorse the Ford Explorer Sport Trac. NHTSA has subjected the Ford Explorer Sport Trac to its full battery of crash tests and found the vehicle worthy of a perfect five-star rating for driver and passenger protection during both front and side impacts. The one strike against the Ford Explorer Sport Trac came in the rollover rating, where NHTSA awarded only three out of five stars for the 2WD model. In terms of impact protection, the IIHS affirmed the perfect scores awarded by NHTSA, as they also gave their highest rating, "good," to the Ford Explorer Sport Trac for frontal offset impacts. Crash tests aside, reviews read by TheCarConnection.com show that the Ford Explorer Sport Trac lineup also boasts enough standard safety features to inspire confidence in almost any driver. Edmunds states that "antilock disc brakes, stability control, front-seat side airbags and side curtain airbags are all standard" on the Ford Explorer Sport Trac. To that list, Cars.com adds "rollover mitigation, in the form of Ford's Roll Stability Control," is standard as well. The system "senses impending rollovers and attempts to prevent them by applying individual brakes." Outward visibility is also good in the Ford Sport Trac. ConsumerGuide reviewers are surprised to find that the Ford Explorer Sport Trac offers "good visibility despite thickish rear-roof posts," and with its relatively high-up position, overall visibility is good. With a long list of standard features available, the Sport Trac is a relatively good value; just watch the options. 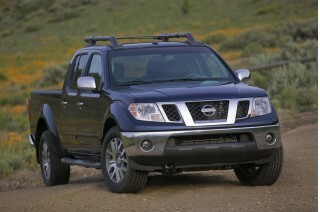 The Explorer Sport Trac comes very well equipped compared to compact pickup trucks. Standard features, even on the base XLT, include full power accessories, cruise control, air conditioning, and Sirius Satellite Radio. Even the entry-level trim of the Ford Explorer Sport Trac is nicely appointed, and Edmunds reviewers find that "the well-equipped XLT features a composite cargo box," along with "full power accessories, power rear window, foglights, keyless entry," and "cruise control." ConsumerGuide adds that the base-level Ford Explorer Sport Trac XLT boasts standard "leather-wrapped steering wheel w/radio controls" and an "AM/FM/CD/MP3 player" with a "digital-media player connection." For a vehicle that has an MSRP of less than $33,000 even in Limited trim, the 2010 Ford Explorer Sport Trac is near the top of the class in terms of standard equipment; the Limited loads the Sport Trac with such things as fancier wheels, heated leather seats, an upgraded center console, and Ford's SYNC entertainment/navigation system. Adrenalin models add a more aggressive appearance to the Limited's equipment, including 20-inch polished aluminum wheels, dual exhaust tips, black fascias, and monotone perforated leather seats. A moonroof, a premium sound system with subwoofer and six-disc changer, and a next-generation voice-activated navigation system from Sirius Travel Link are among the most desirable options. Edmunds says that some of the "major options include a heated windshield, a sunroof, leather seating," and a "navigation system (with voice operation)." Unfortunately, some of those features don't score too well in reviews read by TheCarConnection.com. In particular, Cars.com gripes that some of their reviewers "didn't like how much glare there was" coming off the heated windshield, and they feel "it's time Ford upgraded to a system with better voice technology" since the current navigation system’s "computerized voice continually mangled the pronunciation of street names" during their test. Other features on the Ford Explorer Sport Trac receive more praise than criticism, and ConsumerGuide finds that some of the best are the "DVD entertainment system" and the SYNC electronics integration package on the Ford Explorer Sport Trac that J.D. Power says "links Bluetooth-enabled cell phones and various MP3 players to a simple voice-activated command system." Looking for a different year of the Ford Explorer Sport Trac?